Two prison photographs of Emmett Dalton, 1871-1937, with his inmate number 6472. 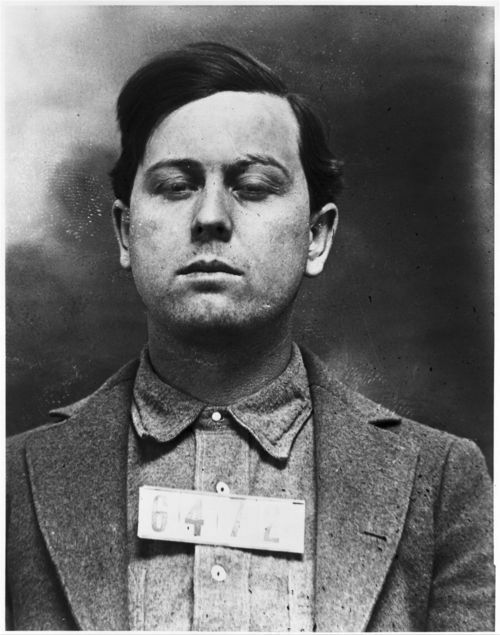 Dalton was a member of the Dalton gang and was sentenced to prison for his part in the attempted robbery of the C. M. Condon and Company Bank in Coffeyville, Kansas on October 5, 1892. Four Dalton gang members, including brothers Bob and Grat Dalton, were shot and killed as they tried to escape.